For many of us, our day starts in the shower. The shower is a place to get clean, but it can also be a place for rest, relaxation, and luxury. If you’re going to use your shower every day, shouldn’t it be a place you love? The latest luxurious shower updates combine function and luxury to create the feeling of a spa right inside your bathroom. Whether you like lots of water, extra space, or steam, there are shower options that can transform your bathroom into a relaxing oasis. One of the most popular shower trends is forgoing the tub/shower combination in favor of an extra spacious shower. 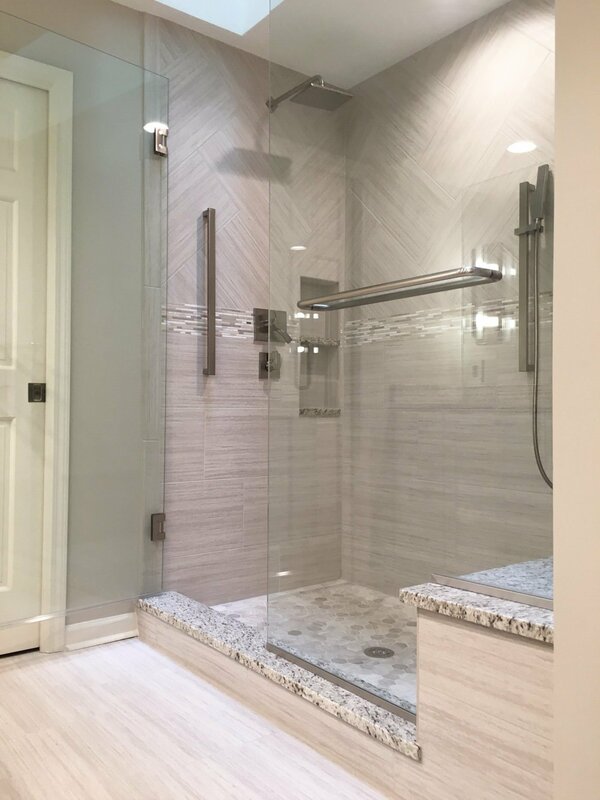 Many homeowners love the extra room, and the feeling that the shower is place to enjoy, rather than just an “in and out” experience. If your bathtub doesn’t get much use, consider converting to a roomy shower space. Another great feature that you can include in your spacious shower is dual shower heads. 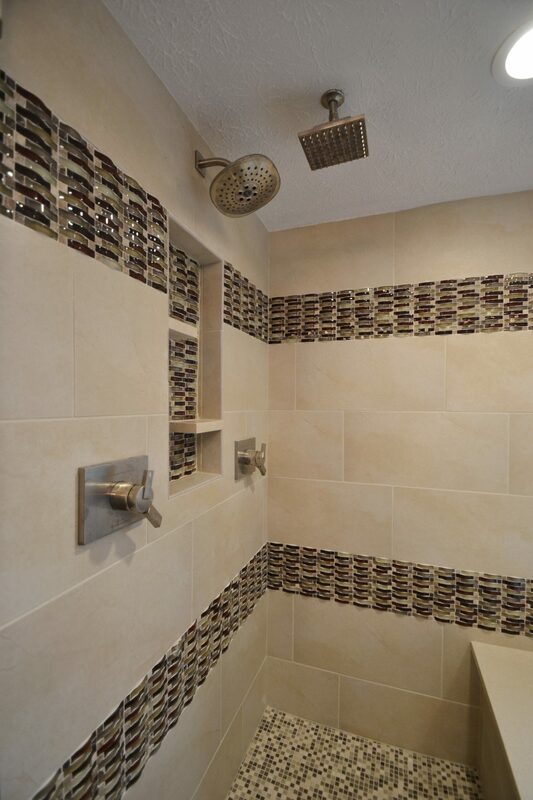 In a recent remodel, we combined two different types of shower heads to create a completely immersive experience. If you’re going to take the time to enjoy your shower, why not sit down and relax? More and more showers are including a built-in bench for seating. Seating is great for unwinding, and a nice feature for kids or older adults who might benefit from a seat for balance. Get the experience of the spa without leaving your home! More and more homeowners who love steam are incorporating a steam shower into their bathroom. Steam is great for opening your pores, and is a fabulous way to relax. If you’re ready to take your shower from simple to spectacular, contact ACo. 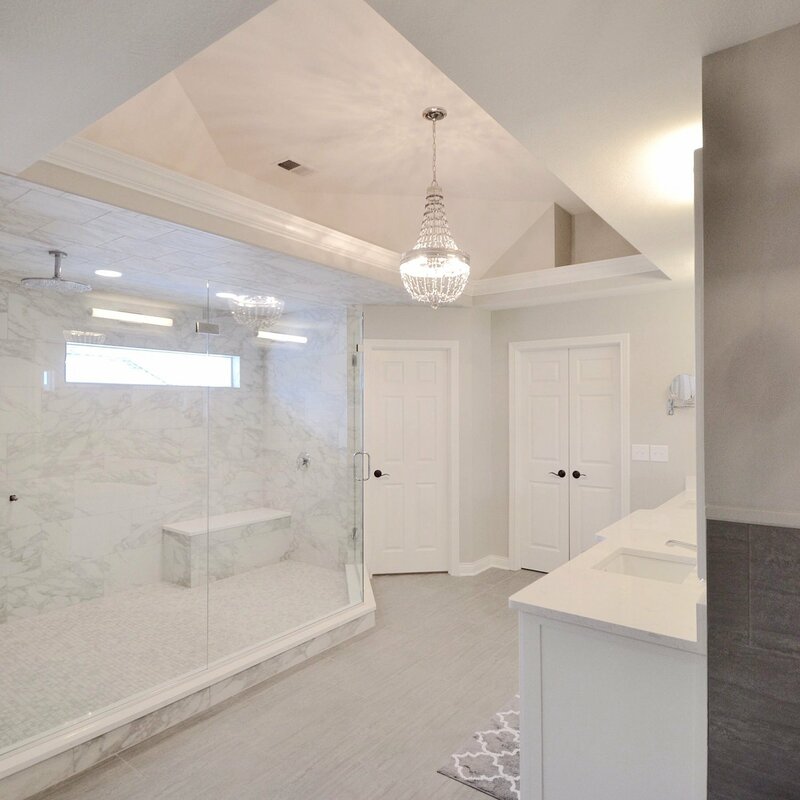 We are up-to-date on all the latest bathroom trends, and we can help you find the ones that will create a peaceful getaway right inside your home. Want to see how we’ve transformed other spaces? Our Project Gallery is a great place to start.